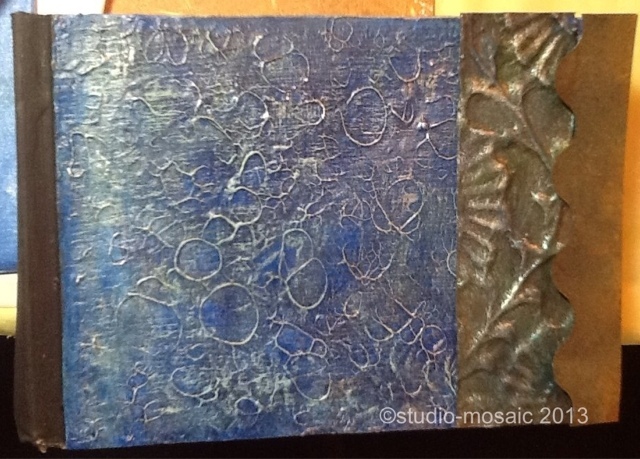 This is Spring Break from substitute teaching for me this week, and I've been in my studio almost non-stop. Sending lots of thanks to my husband who takes over many household chores when he's not on an assignment out of state. Online workshops are such a fun way to learn new techniques so I signed up for a few. WOW! They certainly stirred up my creative juices and I've been churning out lots of things. These photos are a few examples. I highly recommend participating in online workshops, especially if you have access to the videos/materials for a year. The bluish/green book cover is from a course with Andy Skinner.... "The Book of Ruination".....great technique. I will upload the second book.... "Rock Your Book," when it is finished. Click on the logo on the right of this blog for more information. 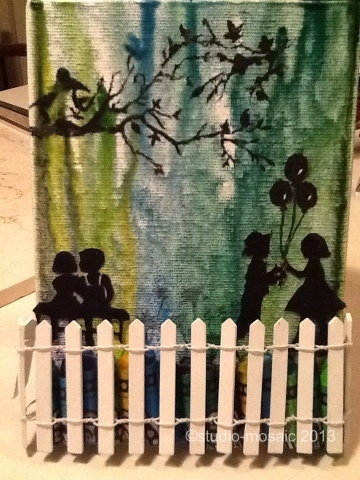 The silhouette image is not from a class but it's the second project I've done with the crayon melt technique. The images were cut from stamped images from a Close To My Heart set, called Childhood Portrait. The branch was from a stencil by The Crafter's Workshop. 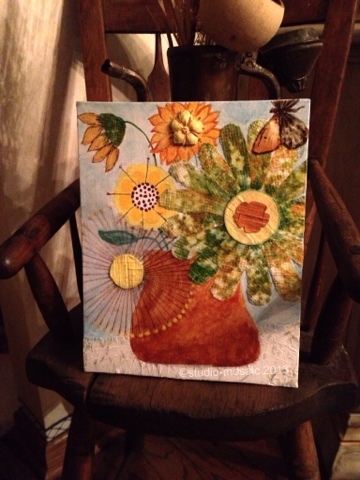 The third image is a collage painting based on a Funky Flowers workshop offered by Melody Ross Brave Girls Art School...a link is also to the right of this blog. I would love to have feedback but it seems that my visitors just like to visit....so, thanks for stopping by.